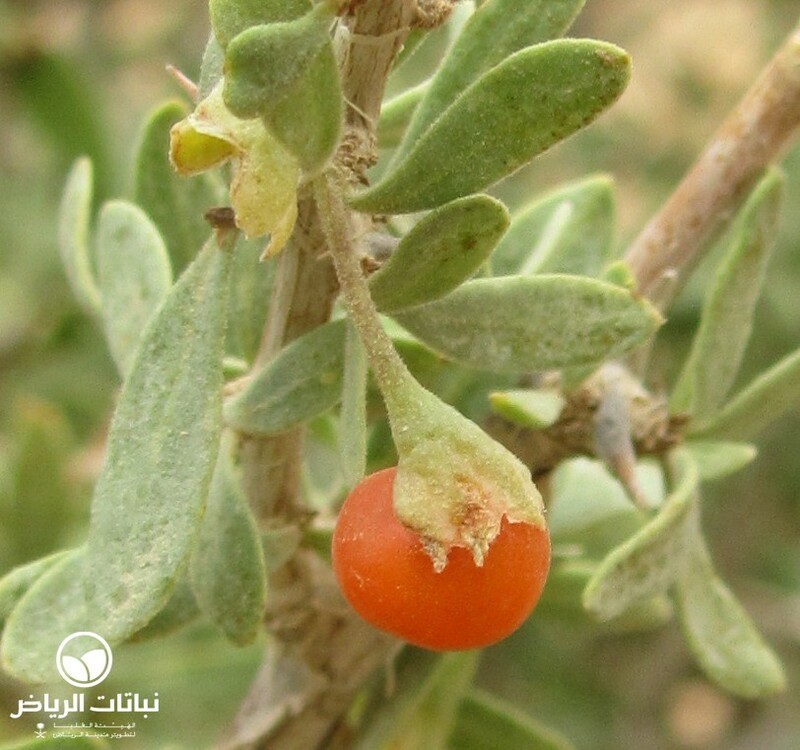 Lycium shawii is called awsaj or shaz in Arabic, while the English common name is Boxthorn or Desert-Thorn. 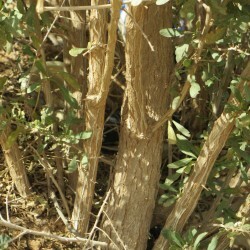 The shrub or small tree is distributed throughout the Arabian peninsula, southwest Africa and the Mediterranean basin. 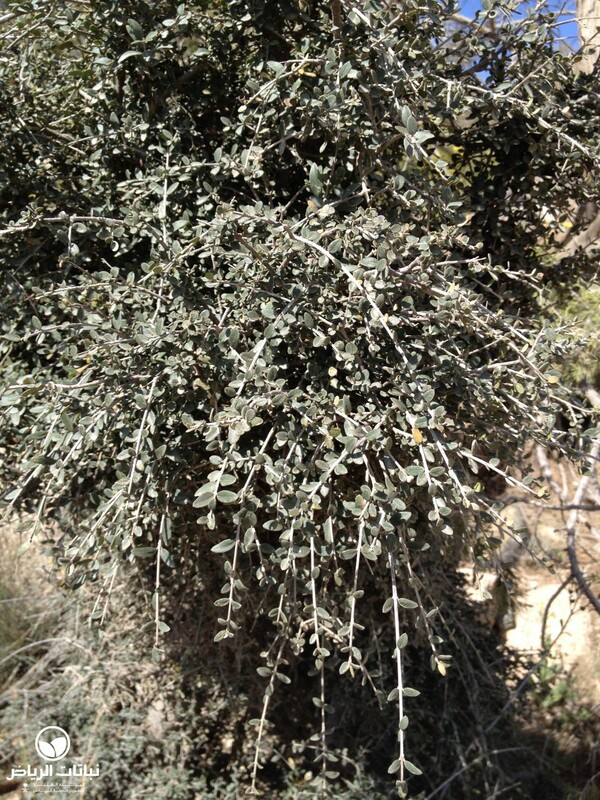 Lycium grows up to 4 metres high with a spread of 6 metres. 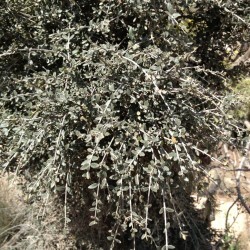 It is densely branched and armed with tiny thorns. The small leaves are dark green. 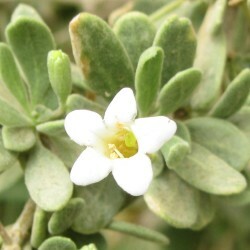 The 7-mm-broad, star-like white flowers appear in spring. After flowering, edible pea-size red berries develop. The plant attracts birds and bees. Lycium is adapted to desert conditions; and can withstand drought, frost, wind, grazing and heat. The demands on the soil are less; it grows on rocky clayey soil. Salt tolerance is very high. 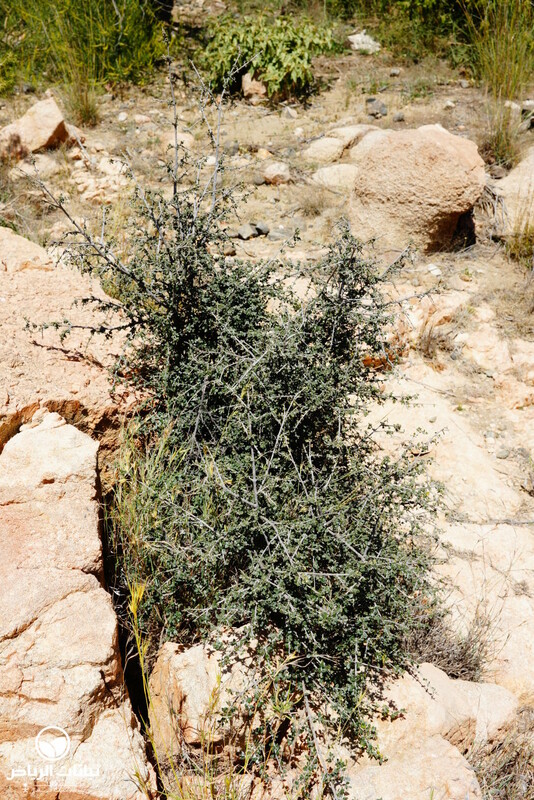 The shrub needs nearly no irrigation when once established, and has tap roots. Pruning will improve dense growth, and seeds and cuttings are used for propagation. 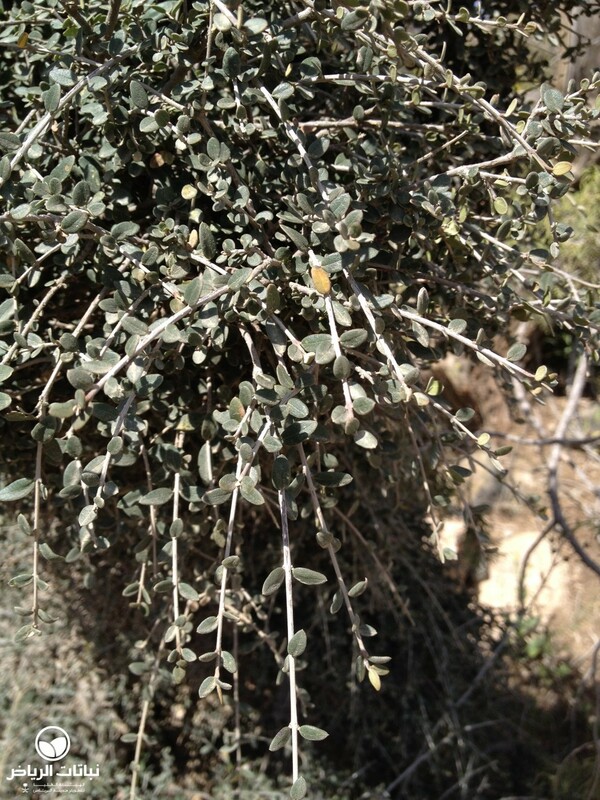 Lycium can easily be found around Riadh. It is very useful for open country, as a coloniser, hillside plantation species, slope stabiliser and for environmental consolidation. 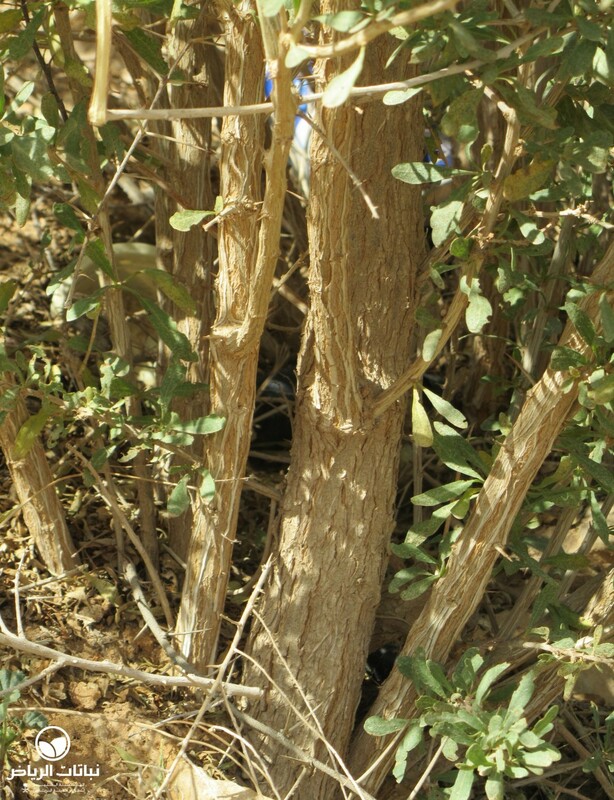 In open landscape areas, the shrub is popular because it can be planted as a hedge or windbreak and also provides fodder for livestock. 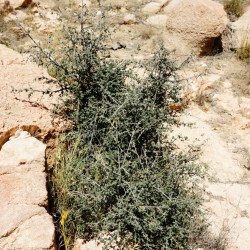 Natural planting themes such as rock or steppe gardens can be created with Lycium shawii planted as dominant, grouped plant or as a hedge. 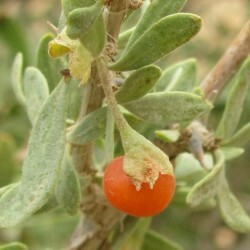 A relative of Boxthron, the Goji, became very popular, because it is very healthy, rich in vitamins and mineral nutrients.